Tech earnings get under way this week, and among the companies reporting is computing and services giant IBM, on Wednesday. Though global IT spending remains under pressure, especially in Europe, IBM last quarter boosted its outlook for the rest of the 2013 fiscal year, saying it now expects to earn as much as $16.90 a share. Even so, the shares are down by more than six percent since then. Evercore analyst Rob Cihra said he expects IBM to report a slight year-on-year decline in overall revenue, with slow sales in emerging markets, and as weak government customers around the world tighten their spending on IT gear and services. He sees a stabilizing spending environment in the U.S. and Europe helping its results. After adjusting for currency effects — which have tended to hurt more than help Big Blue’s results — he expects services revenue to grow by about two percent year on year. 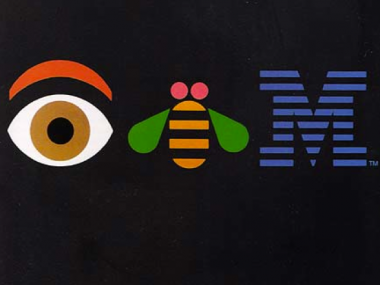 It would be, he writes in a note to clients this morning, IBM’s first return to positive growth in services, on a constant currency basis, in five quarters. He estimates that services account for about 59 percent of IBM’s revenue, and 52 percent of its profit mix. One other new factor: It will be the first quarterly report since IBM closed on its acquisition of cloud computing services provider SoftLayer. Cihra expects SoftLayer to contribute about 75 basis points to IBM’s overall services revenue. Hardware sales, which account for about 15 percent of sales, are expected to decrease by about eight percent year-on-year, Cihra said. Sales of mainframe systems should come in higher, by about 12 percent, while IBM’s Power line of Unix servers should show declines of about 21 percent, reflecting the ongoing decline in that business that is hurting both Hewlett-Packard and Oracle. Also expected to be weak: Sales of so-called x86 servers that use chips from Intel, especially in light of recurring chatter that IBM is interested in selling that business to China’s Lenovo. Another complication: Surging demand from big purchasers of servers like Facebook and Google, for “non-branded vanilla” servers. Overall, Cihra expects IBM to report sales of $24.6 billion, which is slightly below the average Street forecast of $24.73 billion, and per-share profits of $3.96, which is in line with the consensus, and would be up by nine percent over the year-ago quarter.